This month October's POPSUGAR #MustHaveBox is all about coziness and relaxation and with the chilly temperatures I am all about it! Want to see what's in the box this month? Read on for the details and for my thoughts on each product. If you are unfamiliar with the POPSUGAR Musthave Box, it is a monthly subscription box filled with amazing, curated surprises every month. You get to discover innovative brands, and full sized fashion, beauty, home, and other products for $39.95 a month. You can use code SHOP5 (which never expires) for $5 off your first Musthave Box! And there is even a mini version for $15.95 a month. 1. Henri Bendel Packable Umbrella- This classic striped umbrella is incredibly cute, but what impressed me is the sturdiness of it all. I doubt this will be turning inside out with the slightest breeze. I will be slipping this in my work bag to use on a rainy day. 2. 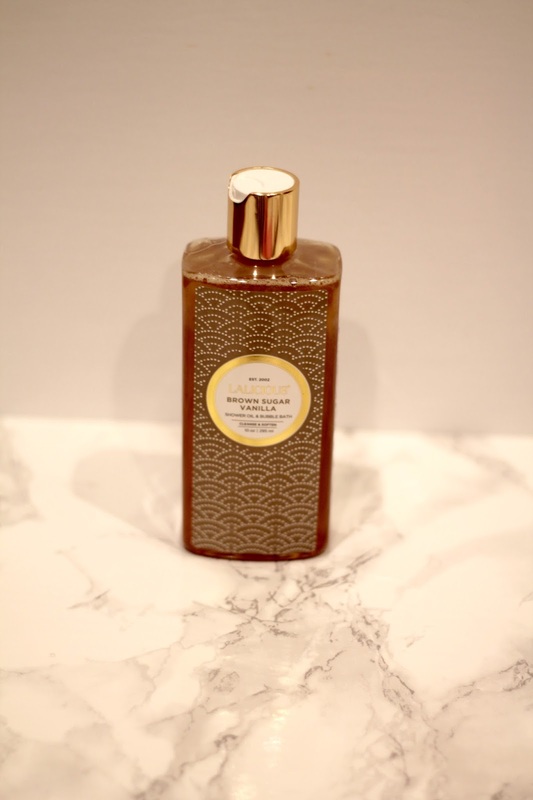 Lalicious Brown Sugar Vanilla Shower Oil and Bubble Bath- This can be used as a shower oil or bubble bath and the probiotic formula says it will leave your skin silky smooth. I am not a fan of vanilla scented items, but this one doesn't smell of those cheap vanilla products. It has a warm and inviting scent perfect for a fall day. 3. My Cup of Cocoa Dark Drinking Chocolate- What a decadent cup of hot cocoa! It can be made with any type of milk or milk substitute to really make it your own. While I am not a dark chocolate fan, my husband and daughter will definitely be enjoying this! 4. 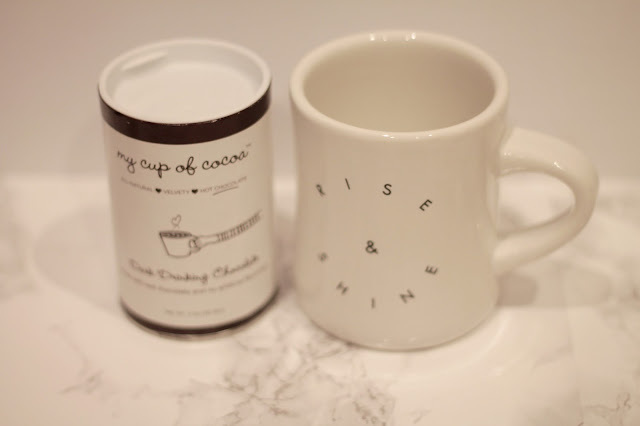 Morning Culture Rise & Shine Diner Mug- I am a big tea drinker so I love having fun mugs. This is adorable and I really like the heavier feel to it. It would make a great gift, too! 5. The Makeup Eraser Mini!- This mini is a perfect travel-sized towel. After wetting with warm water, it will gently remove even waterproof makeup. It is washable and good for 1,000 washes. I have tried this out several times and it definitely works. I am so excited to bring this when we travel next. 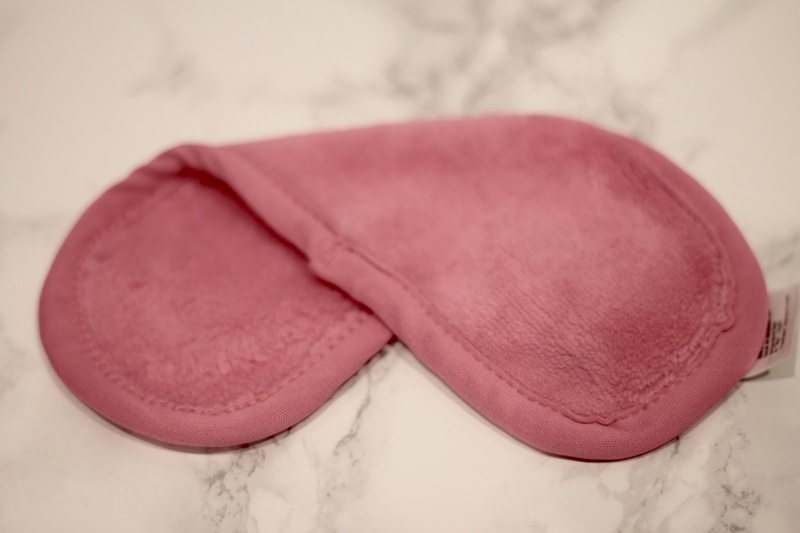 No more worrying about multiple cleansers and makeup removers and nothing spilling in my bag! What a great product! 6. Power Your Happy- POPSUGAR's founder, Lisa Sugar has written her first book, This inspirational, upbeat memoir includes career and personal advice, encouraging stories, and more. I am looking forward to reading this! 7. Revlon ColorStay Liquid Eye Pen- I have been really loving liquid eye pens lately due to their ease of use. This one is no different. It goes on so smoothly and lasts all day. I definitely will be using this all! POPSUGAR sent me this Musthave box to try, but all opinions are my own. Perfect box for October weather! That mug is so cute! I want that mug! Great box! Such a great box!! That book looks like a great read. It's always interesting to see what pops up in these subscription boxes! These are definitely cute and cozy for fall! Ooooh, you got some good pieces for fall! I bet that umbrella comes in handy! That make-up remover towel! I'm so intrigued! I'm constantly staining towels with mascara marks so this sounds like the perfect solution. This looks like such a fun box! That hot chocolate sounds wonderful--I'm a huge dark chocolate lover. And the makeup remover towel looks awesome! So perfect for travel, you're right. It's kinda like Christmas when you get these, huh? They are so fun and a total surprise!! I just added that book to my Goodreads list, it looks interesting! And, hot cocoa? Yum! I def. need to make some this weekend.